We offer a range of tinting, shaping and false lash services that create just the right look to compliment and balance your facial features. At Sanctuary-by-the-sea our therapists are specialists in brow shaping. It is not simply a matter of a quick wax, but a skilled combination of consultation, shape assessment, waxing, shaping, tweezing and trimming to give definition to your eyebrows that you have failed to achieve in the past. Book now and see how different your eyes can be! HD Brows is a seven-step treatment for the ultimate well-groomed, high definition eyebrows. The procedure transforms the way you look and more importantly, how you feel. This specialised brow treatment includes a combination of skills that begin with preparation and personal consultation, custom blending, designing, creating and tailoring the shape, as well as customised aftercare. Your HD stylist will be able to transform your face to such an extent that some people liken it to a mini-facelift! Demand for HD Brows is growing at an unprecedented rate across the UK and beyond. Celebrities such as Emeli Sande, Mel C and The Saturdays are queuing up to experience the wonders of immaculate, high definition brows. To experience this bespoke treatment call 028 93362370 today. 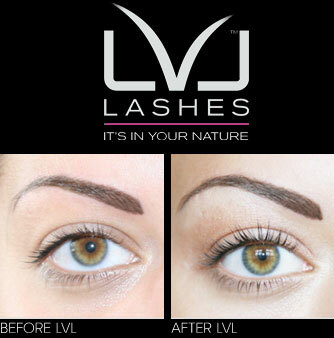 LVL is an exciting new treatment that add length, volume and lift to your natural lashes. It is a low maintenance treatment that differs from old perming techniques by lifting and straigtening lashes straight from the roots. The result is longer looking lashes and a fresh ‘wide awake’ look. LVL is a hit with many celebrities and make-up artists, including Lisa Eldridge from the popular TV show, Ten Years Younger. Click on the video below to see the effects for yourself. Lets Go Lashes offer instant glamour and are quicker than any other eyelash extension treatment. Dubbed the 'Lash in a Flash', there are three treatments available that are quick and effective - a perfect treatment for busy girls who want a quick transformation. A full consultation will be carried out prior to your treatment so you can achieve your desired look. From natural to dramatic- the choice is yours! Strip lashes are purchased at Sanctuary-by-the-sea and then either applied professionally by us or by yourself at home. Ideal for a special occasion, they last one day/ night. Reusable. This treatment uses cluster lash application to achieve a full and glamorous look that lasts for up to one week. Lash extensions are individually applied ensuring a full and even look which will give you longer, thicker and more luxurious lashes for up to two weeks. Three waxing and tinting sessions with a dedicated therapist to get poorly shaped or thinning eyebrows back to perfection. This innovative treatment uses gentle micro-current stimulus to reduce lines and wrinkles and lift and firm the eyelid. As well as treating the entire face, your delicate eye area will be radiant, lines diminished and puffiness and dark shadows reduced.